Even the newest of poker players tend to know that if you are playing a bluff in poker, it means that you are trying to make the other players think you have a good hand, when in fact you’re not holding anything at all. What most new players don’t understand is that there are ways to play semi-bluff and three-betting poker that are more tactical in nature that will help you grow your stack with a lot less risk than a true bluff. The one requirement for both of the betting styles that will be discussed below is that the game you’re playing must have multiple stages during the hand, like Texas Hold ‘em has with a flop, turn, and river, as the timing of your bluffs will be important to what’s happening on the table. Some of what will be discussed can be transferred to other games, but not all of it. There are many players who have been playing a semi-bluff poker style for years and just had no idea what it was called. I probably played for a good year or two myself without knowing that what I was doing actually had a name because it’s such a simple strategy, I just didn’t think someone would have taken the time to put a name to it. All there is to semi-bluff poker on the surface is that you aren’t playing a true bluff, as in your cards could still make a good to great hand, you just don’t have anything that you would normally play at the moment. This is much less risky than a true bluff, as if your opponent calls you out, you could still come out on top for the hand with a good turn or river card. If you can’t bully your opponents out of the pot, you want to turn your bluff into a good hand. The semi-bluff is played after the flop, and you should be thinking about what you can make with your hole cards and the community cards as you decide whether to play or fold. The first thing you should be looking for is mid-range straight or flush connectors. Mid card draws work best, as generally players, especially inexperienced ones will be easier to bully into making more raises and bets if they have higher cards, but many of them won’t notice a lower flush or straight draw coming. Of course, it can also work if you have a hole card or two that are higher than what is on the table as well. There are a lot of similarities between playing semi-bluff poker and three-betting poker, but the main key difference is the timing of when you decide whether you’re going to bluff or fold. With light three-betting poker, it requires that you reraise a player who raises before the flop is dealt. The goal of three-betting poker is to bully the weaker players out of the hand early and to make players making loose bets pay dearly for their mistakes. 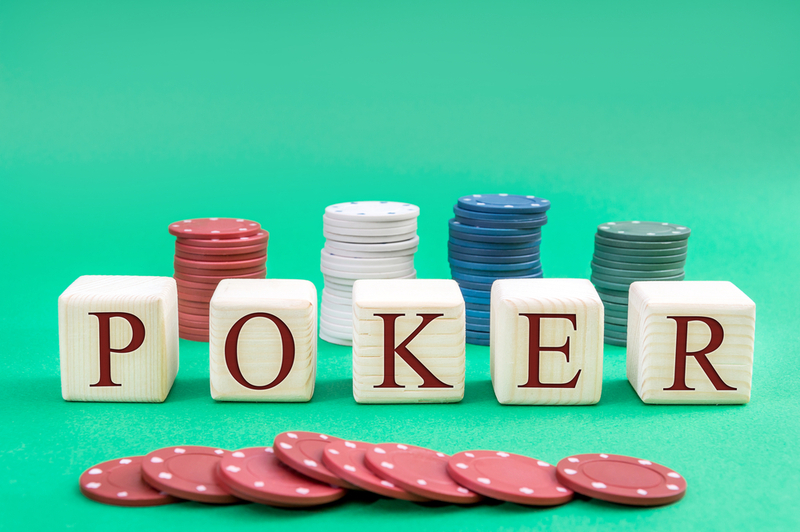 You won’t win every time but playing a light three-betting poker hand when you’ve already got a pair, even a low pair, or like we talked about with mid-range connectors for a straight or a flush before, then you’ll be taking less risk. We focus on mid-range cards because most players will only raise before the flop if they are bluffing or have high hole cards, but forget all about low and mid-range cards. As a rule, don’t reraise every raise before the flop, as it will cost you in the end if you become too predictable. Watch the table and read the other players, if you can identify the loose bettors, the players you can bully, and if you’re really getting good, the other bluffers, you can lower your risk from playing three-betting poker, even more, meaning you’ll win more. Though fairly simple to learn, both semi-betting poker and three-betting poker styles can reduce your chance of losing hands over true bluffs significantly. If you can combine the two, as well as playing your strong hands well on top of it, you will find yourself winning more and more whether you’re playing in your friend’s basement or if you have made the move to online poker.